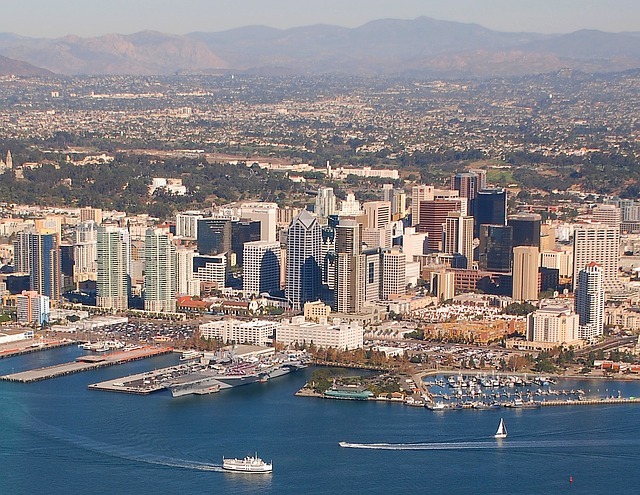 If you are thinking about buying property in San Diego, a fun way to get to know the city and its neighborhoods better is to take a tour of the city. Not all tours are created equal, some are for tourists and some are for people interested in living in the city. Here are some types of tours that you might want to consider before deciding on San Diego downtown real estate or maybe something towards the suburbs. If you want to capture the beauty of the city this may be the best option of all the San Diego tours. While you can join a shuttle tour of the city allowing you to capture photos that have already been scouted out, you may also want to join a walking tour of a particular neighborhood like Old Town, Coronado, La Jolla, North Country or downtown San Diego. Even if you have never been on a Segway before, you will soon be a master after just a short instruction period. These tours are a great way to explore a neighborhood like the Gaslamp Quarter or Little Italy. Segways are a big hit among younger people as well so consider making this a fun family activity that you can all do together. They can also be an awesome way to explore San Diego’s fabulous attractions like Balboa Park, Seaport Village and Petco Park. Stay in shape while seeing the best that San Diego has to offer by taking a bike tour of the city. You may want to go on a private wine tasting tour or focus on riding to see another type of activity in the city because it has so much to offer. Alternatively, you can find bike tours focusing on one neighborhood, such as Rancho Santa Fe, San Diego Bay or Point Loma, allowing you to see the types of real estate that might be available in each neighborhood and some of the beautiful sites along the way. If pedaling a long distance seems like a lot of work, then consider an electric bike tour. The beauty of San Diego comes to life when the city is viewed from the water in a kayak. One very popular destination is the La Jolla Sea Caves, but you can find many other tours too. Carlsbad Lagoon and Oceanside Harbor are also very popular options with kayakers. You may even be joined by a whale along the city’s 70 miles of coastline. Another option for touring in San Diego is to take a pedicab tour. The city’s beautiful weather makes this a fun way to see the city. Most of these tours focus on the historic downtown area, the Gaslamp District or along the waterfront. Almost every cuisine known to man is available in San Diego. You can get a great taste of Mexican food on a San Diego Mexican food tour or opt for an Italian-themed happy hour crawl. There are even food tours that combine food with some stories from the city’s colorful past. If you are looking to buy property in San Diego, the best tour that you can make, is with a professional real estate agent. They can show you the different neighborhoods along with commercial and residential properties available in each one of them. They can work with you to find a property that meets your dreams because this city has so many different possibilities.